How does an expert evaluate your child? Sound familiar? These are very common thoughts from a parent who suspects their child may have dyslexia. So, how does your child receive a diagnosis? Myth: All children with dyslexia have a problem with their vision, so if vision is corrected, so will the dyslexia. Truth: Although some children with dyslexia have vision difficulties, this is not considered the root of dyslexia. There is no “cure” for dyslexia, but with intense intervention, a child can make great gains! Truth: Oral language skills are the best predictor of a child’s reading skills. Fact: Highly trained professionals, like speech language pathologists, can diagnose dyslexia. I often hear from parents, teachers and (unfortunately) other professionals, that only individuals at the PhD/MD level can diagnose dyslexia; this is simply not the case! As speech language pathologists, we have advanced training and knowledge in….language! All of these areas come into play when we talk about dyslexia! 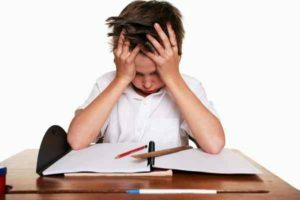 How does an expert evaluate and diagnosis dyslexia? When I have a parent call and inquire about a dyslexia diagnosis, I am using a combination of formal [norm-referenced, standardized assessments (what does that mean?] and informal tests/language samples. Some of the key features I look to analyze and distinguish are a child’s general receptive and expressive language skills, their phonological awareness skills, their memory in relationship to language, how well they can decode words, how fluently they can read, their spelling skills, and their writing skills. I also take into account an extensive case history. Did your child receive early intervention services, especially speech therapy? Does your child currently receive speech therapy? Do reading problems run in the family? Does your child have any other diagnoses? Tell me about your child’s academic performance. The list goes on and on. Once I gather all of this information, I can begin to put the pieces of the puzzle together. Language, in all of its forms, is incredibly complex. When you are searching for someone to evaluate your child, make sure they have the background and knowledge to truly understand how language works. As experts, we can’t rely on one single test to diagnose! The International Dyslexia Association (https://dyslexiaida.org/) is a great place to do your own research. If you believe your child may have dyslexia, give us a call at Metro East Therapy. We ARE the experts.